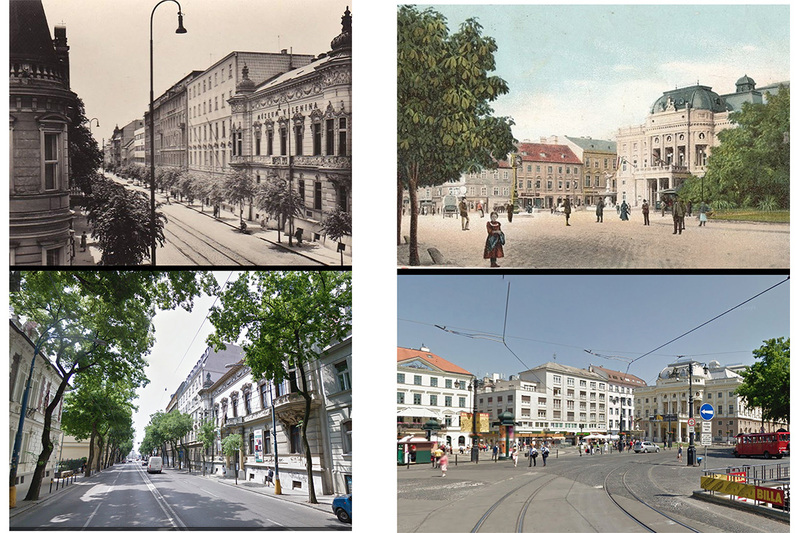 The digital intervention consists of documenting the history of Bratislava on a scientific basis and a subsequent transformation thereof into software providing an opportunity to walk around Bratislava in several key moments of selected historical eras. It would be possible to compare the past and present states. Besides creating a 3D environment based on a physical-space study of the historical documents, the project aims at capturing the atmosphere of different historical periods, including audio registrations of street talks, writings on the walls of the buildings, historical layouts of public spaces, or the ruins of the under-castle extramural settlement. The goal of the intervention would be to create a publicly accessible encyclopedia providing information on the town and its history. Moreover, by promoting true understanding of the past, we wish to contribute to raising of public awareness and to support ideas on the potential future and development of the town.